The SBA Microloan program provides loans up to 50,000 USD to help small business and certain not-for-profit childcare centres. Recent data show that the average approved microloan was roughly 13,000 USD. If your business / childcare centre needs to borrow 50,000 USD or less, an SBA Microloan can be an excellent solution. 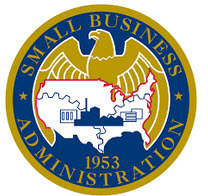 The U.S. Small Business Administration (SBA) is an independent agency of the federal government, created to aid the formation and expansion of businesses in the U.S, Puerto Rico, Guam and the U.S. Virgin Islands. You don’t borrow the money directly from the SBA. Instead, the SBA provides funds to selected intermediary lenders and these lenders take care of the administration of the microloan program. All the intermediary lenders are non-profit community-based organizations. It is the intermediary lender, not the SBA, that will make all the credit decisions for SBA microloans. The microloan can be used for working capital, inventory, supplies, furnitures, fixtures, machinery, and equipment. Using the microloan to pay existing debts or purchase real estate is not allowed. The eligibility requirements will vary from one intermediary lender to another. There are for instance geographical requirements – you need to pick an intermediary lender that is active in your area. Some intermediary lenders will require you to fulfil a business training program to become eligible for a microloan. Most intermediary lenders will require some type of collateral and the personal guarantee of the business owner. The interest rate will depend on the rules of the intermediary lender. In general, SBA microloans have an interest rate in the 8% – 13% span. The repayment terms will vary depending on several factors, including the rules of the intermediary lender. The loan amount, what the money will be used for and the needs of the business / not-for-profit are all examples of factors that can be taken into account when the repayment terms are set for the loan. As per SBA rules, the repayment term must be six years or less. Accion East dba ACCION USA, Inc.